Abstract: Origins, Identities and ethnicities were all central concerns of Early Medieval writers. The interface between time, history and memory is demonstrated by Gregory of Tours, Bede and Paul the Deacon (amongst many others) and how they mediated the relationships between themselves and the pasts they depicted in their narrative works. 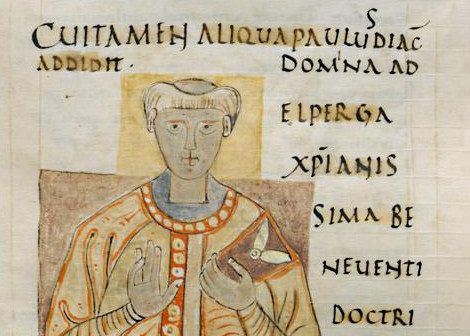 Paul the Deacon, for instance, related how the Lombards acquired their name within the non-historical and mythic orbit of Book I of his Historia Langobardorum. Significantly, the episode is also discussed by ‘Fredegar’ and two subsequent and anonymous works of the VIIth- and VIIIth-centuries – the Origo Gentis Langobardorum and the Historia Langobardorum Codicis Gothani. This paper analyses the features of the origins of the Lombards which are described in the above works – which on each occasion have interesting and important variances – by doing so, it will be shown that time, memory and purpose have shifted and amended the ‘absurd tale’ so that it becomes a key to understanding the changes and pre-occupations of those who wrote about the mythic past and their present. Thus, we will be able to track and understand the responses of each of the writers to the Pagan and Mythic origins of the Lombards and how these responses were vitiated by time and memory.